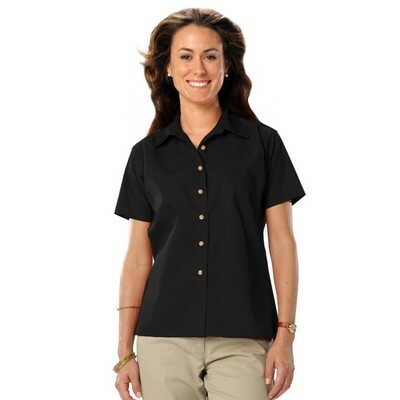 This custom logo women's short sleeve Teflon treated twill shirt features a wrinkle resistant soft touch finish. 65/35 poly/cotton blend, 6.5 oz. 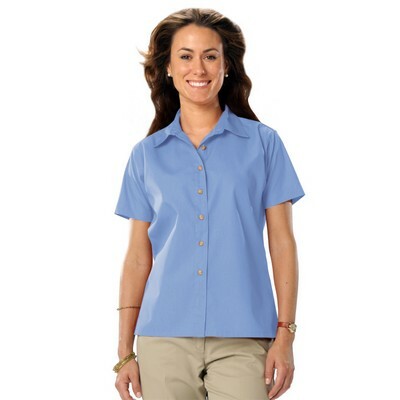 Treated with DuPont™ Teflon® Fabric Protector. 2 side back pleats with button down placket. 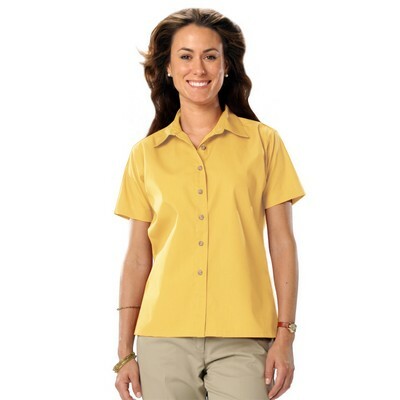 Our promotional women's short sleeve Teflon treated twill shirt combines looks and performance in a great shirt for work or play. 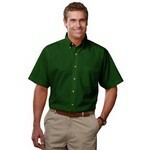 The fabric is 65/35 poly/cotton blend for extreme comfort and durability. This shirt is wrinkle resistant with a soft touch finish and is treated with DuPont Teflon fabric protector. With a button down collar and adjustable cuffs, this branded shirt also has a double back yoke. 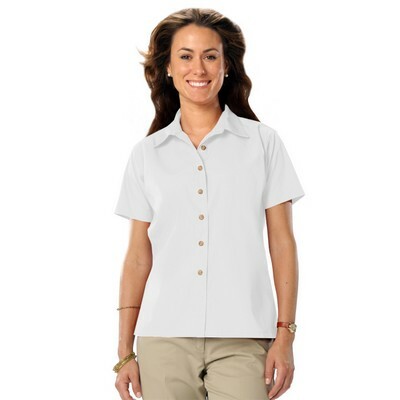 Customize these shirts with your team logo neatly printed at no extra costs to cheer your promotional campaign. 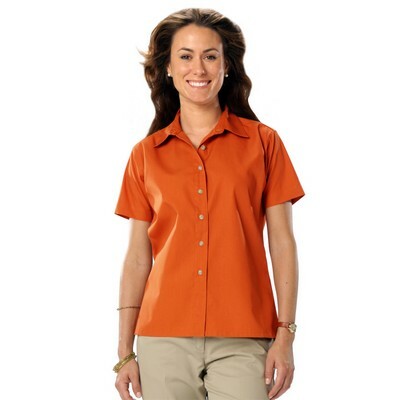 Our promotional men's short sleeve Teflon treated twill shirt features a wrinkle resistant soft touch finish.